Bad MLM Uplines – Who Needs Them Anyway? 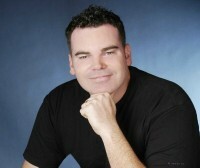 Even though it is your Upline’s job to show you the road map to success that is not always the way it happens. There are many horror stories about bad MLM Uplines that sign you onto their home business opportunity and then leave you flailing, without direction. This causes a lot of MLM Distributors to fail, or give up – they feel lost and out of control which leads to poor moral and ultimately failure. That doesn’t have to be the route you take. Simply put a bad Upline is someone who does not show you how to succeed at your MLM business. It’s bad enough when they don’t have the experience to show you how to generate your own leads to grow you business, but even worse is when they avoid you like you’re a disease. Uplines that don’t return your calls, or reply to your emails and always seem to be ‘busy’ when you do get a hold of them. Of course they promise to call you right back, and always seem to be ‘getting around to it’ when you speak to them next. Who needs an Upline like that? You deserve better and that is why I’m going to give you a road map to success right here and now. I’m not promising that this is going to be exceedingly detailed, but it will give you a push in the right direction. Just follow these directions and then get creative from there and I’m sure you will do well with or without an Upline that calls you back. Get to know your product. Read all of the material that you have been given on your products, and then dig around some more. Any MLM leads that you speak with may have questions about your products and it always pays to be knowledgeable in your business. Read as many consumer reviews online, but be wary about those who are just trying to write a smear campaign. They may be upset MLM Distributors who have failed and are looking for a way to get back at your company. Learn as much as you can about your opportunity. Ultimately you are selling your work at home business to your MLM leads. They are likely to have a few questions and they will be looking to you to be an expert in the field. This will also help you discuss your home based business opportunity with confidence which will be perceived by your lead. Never lie to your MLM lead. This is crucial – no one likes to be lied to. Your intention is to have your business opportunity lead join your downline which means that you will be working with them for a while. Any lies that you tell them to get them on your team will eventually come out and once it does you will lose credibility and more than likely a member of your downline. This can create a chain reaction once the members of your downline realize that you have been lying to them. Make your opportunity all about your marketing network lead. When you have a MLM lead and you are preparing to contact them remember one crucial thing – this isn’t about you. If you contact your lead and the conversation is all about how fast they can sign up then you won’t ever close a deal. Your downline will never grow. You need to realize that this opportunity is all about your lead, and what it can do for them. They have a reason that they are interested. Find out what it is and see if your home business opportunity is a solution for them. If it isn’t, don’t press the issue. There are other leads that will see your opportunity as the solution they have been looking for. Growing your downline is the key to your success. The faster that you get quality leads for your home business opportunity the greater chance you have to launch your business. Your major product in MLM is the business opportunity that you offer to your MLM leads. Signing them on turns them into your downline, which makes their success your success. The fastest way to generate quality MLM leads of people looking for a home based business opportunity is to buy them. The old saying ‘you get what you pay for’ couldn’t be more true. Purchasing quality MLM leads gives you a list of prequalified contacts who have requested that you contact them with your home business opportunity. It doesn’t get much better than that. If you have a tight budget then look into buying Aged Leads; they are usually sold at a discount but they are still contacts that have been prequalified and have requested information about a home business opportunity. Don’t be a horrible Upline. Your downline are counting on you to show them how to be successful in the industry that you have convinced them to join. If one of your downline is having problems getting their own MLM leads then give them some suggestions. Point them to the MLM lead company that you used when you were looking to fill out the ranks of your downline. Don’t only call your downline when they are having problems. It is great that you are willing to be there when your downline are having problems, but being a good Upline is about more than that. If you only contact your downline when they are having business problems then you give the impression that you only care when the flow of money has been interrupted. Your downline are people too – treat them as such. You may not end up being friends with all of them but staying in touch can make a big difference in their continued success. I hope that this helps some of you who are suffering with a bad Upline. I wish you continued success in all of your endeavors. Without a business vehicle, taking action and a guide to get you where you want to be, the journey is much harder and most will fail. 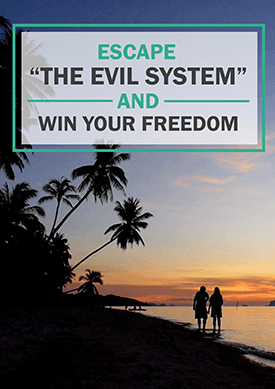 Enter your name & email below to download this guide and get a serious step toward breaking free and winning your freedom! Want to Win My Freedom Now! "Apache Leads was recommended to me by a successful network marketer and friend who has been using Apache leads and having GREAT results with these leads. I will recommend those in my team to use Apacheleads too and I personally will be coming back for more! Keep up the good work Don!" "Hi Don I just wanted to say that after using leads from EVERY lead vendor in the country, yours are just as good as the leads that other companies sell for $14. In fact, the strangest thing happened last week. I was testing out another company's leads and the person I was speaking to had already been contacted by my Dad that same week. Here's the difference, I paid $8 for that lead and my Dad bought the same details from you for only $2. Nice work!" We love your leads, my team has great success, and you have always provided, quality and competitive priced campaigns.Keep up the good work"